The average garage door opens and closes upwards of 1000 times per year. While a proper garage door motor is built to withstand that kind of pressure, it can get wearing after a while. No one wants to deal with a broken garage door, which compromises the security of your home, and causes a huge inconvenience. 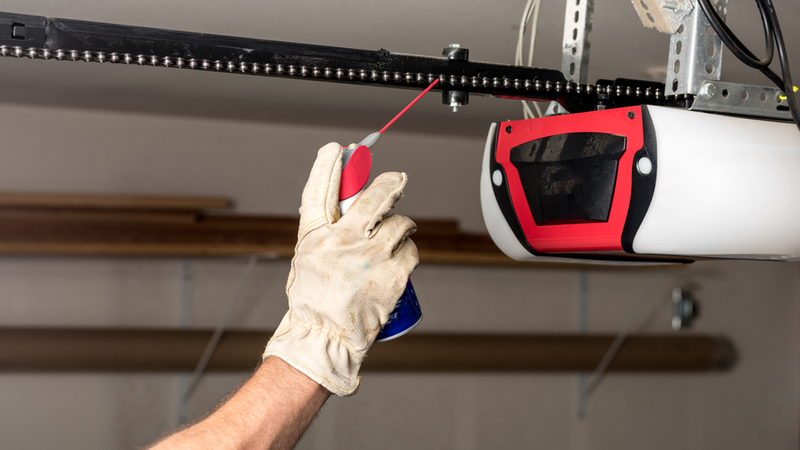 In order to keep your garage door opening and closing reliably, it’s best to take some preventive care maintenance measures. One of the most common problems with a garage door is the sounds it can start making when the mechanism gets a little gummed up. Regular oiling is necessary to keep the chains, cables, rollers, tracks, spring, motor, etc. running quietly and smoothly. During our appointment, we’ll thoroughly check and lube all the moving parts that are essential for your garage’s efficient function. Have you ever noticed your garage door pausing as you open or close it? It might make you worried for a moment that it’s not going to open at all, but then it gets past the moment and opens all the way. This can be caused by a number of reasons, but it’s safe to say that you should get it checked out before the problem gets more severe. Often, applying oil will make everything go more smoothly, but there can be other contributing factors. During a lube and tune appointments, we’ll also tighten up all bolts, screws, and other parts that can rattle and loosen with all the opening and closing that happens in a year. Your cables hold a significant weight as your door opens and closes. Temperature, friction, and moisture can cause these cables to deteriorate over time. During an inspection, we’ll check for any signs of tired-out cables. A lube & tune appointment from our team will check all of these potential problems, and more. We’ll make sure that the gears are running perfectly, that the door is balanced, and that rollers are replaced as needed, that weatherstripping is tight, tracks are cleared and strong, that safety measures are reliably functional, and that the motor itself is doing its job. Is it time for your garage tune-up? Give us a call today!